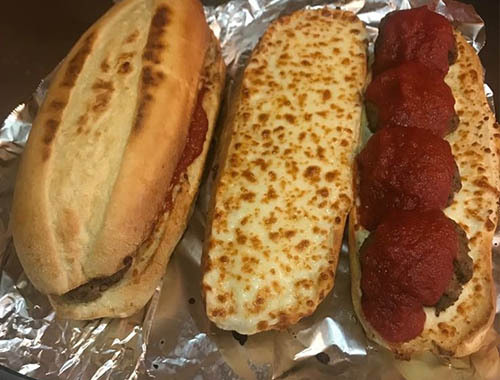 Three Super Italian or Meatball Subs. Special Italian Subs made by Padovas pizza includes X Ham, X Salami, X Cheese, lettuce, Hot Peppers, Tomato and Italian dressing (Marzetti dressing). These are three regular sizes Subs that fulfill all your requirement.